Super way of relishing idlis. Interesting twist to regular idlis!!! 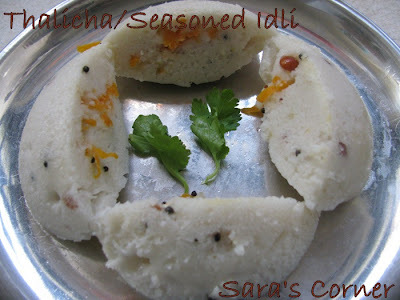 Love this seasoned idli with spicy coconut chutney,looks awesome..
~simple and easy idly....kids will like it! Thanks for sending the lovely and yummy idlis to my event sara.